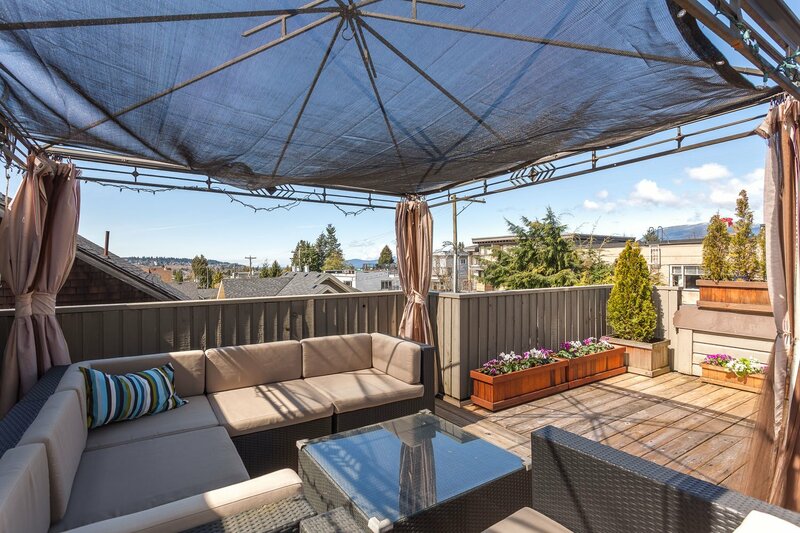 KITSILANO 3 bedroom townhome plus almost 500 sqft of outdoor living area. This bright and tastefully updated home is perfect for the work from home professional couple as well as the growing family. Enjoy the northwest ocean views from your very own private rooftop deck, massive crawl space storage and gas fireplace. See extensive list of special features and upgrades including building envelope rainscreen, window replacement & Navien hot water on demand, etc. Walking distance to all levels of schools and parks. Just steps to transit and West 4th Ave shopping and walking distance to Kits Beach. Minutes to UBC and downtown.